Happy Easter everyone and have a safe and fun time. 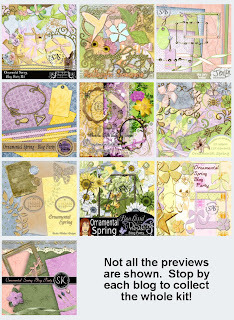 Thank you so very much for your part of this gorgeous Blog Party, it is absolutely beautiful!! Hi Julie - stopping by to snag your lovely contribution to this kit. Happy Easter! TY so very much for this FANTASTIC contribution!!!!!!! TY also for the ADORABLE QP!!!!!!!!!!! Thanks so much for your part in this. Especially love the tags, which are so unique and the roses. Wooo Hooo! !...Thank you for sharing this beautiful portion of this huge generous kit! !...I can't wait to collect all the parts! !..Thanks again for your kindness and generosity in sharing!...Happy Easter!!! 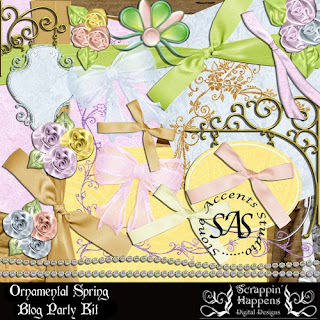 Thank you so much for sharing your gorgeous part to the huge spring collaboration kit!! Thanks for your lovely part of the OS kit. It's gorgeous. I loved looking at all your darling critters as well. Adorable papers and elements. Thank you so very much for your contribution to the mega kit. I love !!! thanks !!!! Thank you so much. I am having such fun!